Calgary, Alberta – January 26, 2016, InsureMy Ltd., a Calgary based, full service insurance brokerage firm, today announced the piloting of their innovative young drivers program, New Drivers Intelligence (“NDI”). With a full launch across Alberta and Ontario anticipated in early 2016, Canadian parents will soon have access to real-time driving data, direct from their vehicles, allowing for greater coaching opportunities between parents and new drivers. Through the use of a simply installed plug-in telematics device, InsureMy’s NDI system allows both parents and teens to track and monitor their driving behaviour. With the ability to collect and review information direct from the vehicle about drive time, speed, braking, cornering and more, NDI gives parents peace of mind when putting new drivers on the road, knowing they have the resources to coach their kids even when they can’t be at their side. All while giving teens the independence they seek, building confidence and setting them up for a future of responsible driving. Recognizing the need to make a positive impact on the lives of parents and teens across the country, InsureMy brings global driver safety technology to the Canadian driving landscape. 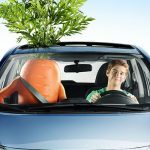 Established young driver programs in the UK report a massive improvement in young driver statistics with 2014 results revealing a 21% reduction in dangerous driving incidents and a 40% drop in crash risk for drivers with a telematics policy. “…InsureMy puts family driving safety first,” states Hugh McTavish, President of InsureMy Ltd.
“Customers shouldn’t have to experience a claim to know that their insurance dollars are well spent. That’s why InsureMy puts family driving safety first,” said McTavish. “In fact, it’s incumbent on our industry in general to take the kind of action we’re taking to effect positive change and promote safety for all drivers – it’s good for our customers. InsureMy’s NDI is a first step in that direction,” McTavish concluded. InsureMy is a full service insurance brokerage firm, emerging as a market leader in the management and delivery of telematics based insurance products. Empowering customers to manage costs, regulate driving performance, and minimize their environmental impact by leveraging technological advances in the collection and practical application of telematics data.